Nigerian maritime services company Homeland Integrated Offshore Services Ltd (HIOSL) will later this year receive the Guardian 2, a second FCS 3307 Patrol vessel from Damen Shipyards, having ordered the vessel in March this year. 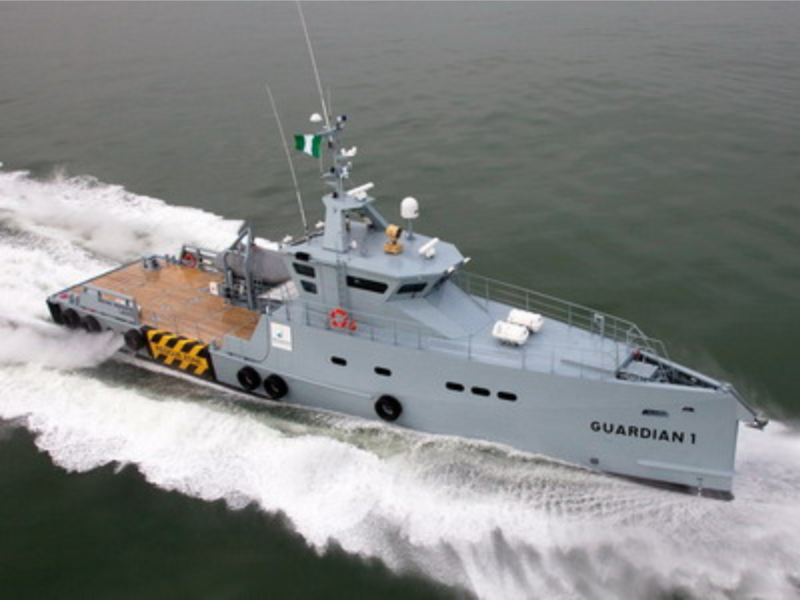 HIOSL Managing Director and Chief Executive Officer, Mr Louis Ekere told defenceWeb that the Guardian 2 will arrive in Port Harcourt from the Netherlands in November when it will be used primarily for offshore security patrols as well as passenger and cargo transfer to offshore oil platforms. HIOSL has a Memorandum of Understanding with the Nigerian Navy which will enable her to work closely with the Navy and to have a number of armed Government Security Forces (GSF) onboard. As such the vessel will be used for patrol, intervention, interception and protection of the maritime corridors and strategic oil company installations. HIOSL has five offshore vessels in its fleet in addition to other vessels such as houseboats, tugboats, barges etc. It plans to expand its fleet and acquire two more security patrol vessels (Guardian 3 and Guardian 4) in the first quarter of 2016. It will in the second quarter of 2016 acquire Platform Support Vessels subject to upcoming contractual obligations with international oil companies. The FCS 3307 has a length of 33.57 metres, deck area of 70 square metres and a top speed of 28 knots. The aluminium vessel has a crew of eight and is powered by three Caterpillar engines with a total of 2-3 500 kW. Established in 2006, HIOSL serves the Nigerian oil and gas industry with a wide range of maritime, security and logistics services. The Lagos headquartered company has plans to become the leading marine logistics provider in the Nigerian offshore industry. HIOSL has a core staff of around 100 although total staff can reach up to 400.